Imagining a relaxing space where you can unwind, breathe in the fresh air and just truly be? We invite you to choose some elegant seating, and put the finishing touches on your space with the Poppi Coffee Table in striking black wicker. Our Poppi Coffee Table is a beautiful choice for the home or outdoors, bearing the simple sophistication of the Poppi range of outdoor tables, this Coffee Table also features a round, wide table top, which curves under into a flared base which is such a fine detail, you will be delighted with the effect this piece has on hard wooden furniture, softening the look and creating more texture, as well as more urban designs for a funky, art deco feel. Place the Poppi Wicker Coffee Table front and centre of your Amalfi Deep Seating Suite, a beautiful collision of linear, chic furniture with the more romantic curved edges of the Poppi. Situate a Mauritius Cantilever Umbrella overhead and settle in for long days and nights in the great outdoors. Perhaps your space is more modest, with room for a couple of relaxing chairs and somewhere to set your casual lunch, and drinks after work. Enter a comfortable seating arrangement such as our Summer Stainless Steel Batyline Relaxing Chairs and a Poppi Coffee Table in dark Lava, and enjoy as your space takes on a new wave of sophistication, not to mention comfort! The Poppi Collection is made from the finest outdoor materials, starting with a powder coated aluminium frame which keeps the rust and corrosion away while keeping your furniture strong. 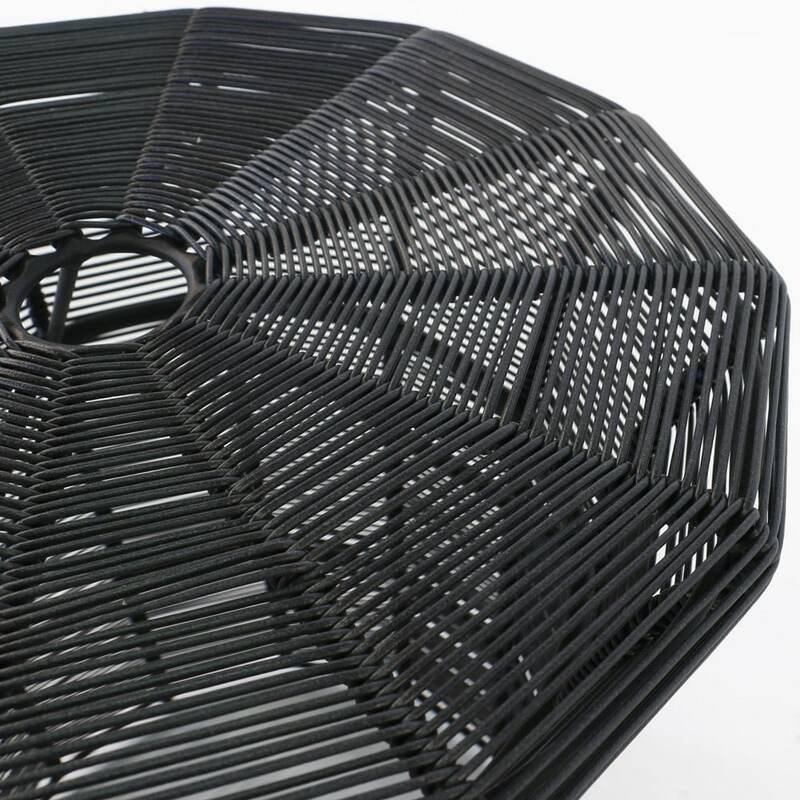 Wrapped around this lovely shape is the incredible high tech wicker, which has been made out of polypropylene that won’t be affected by sun, wind or rain! What are you waiting for? 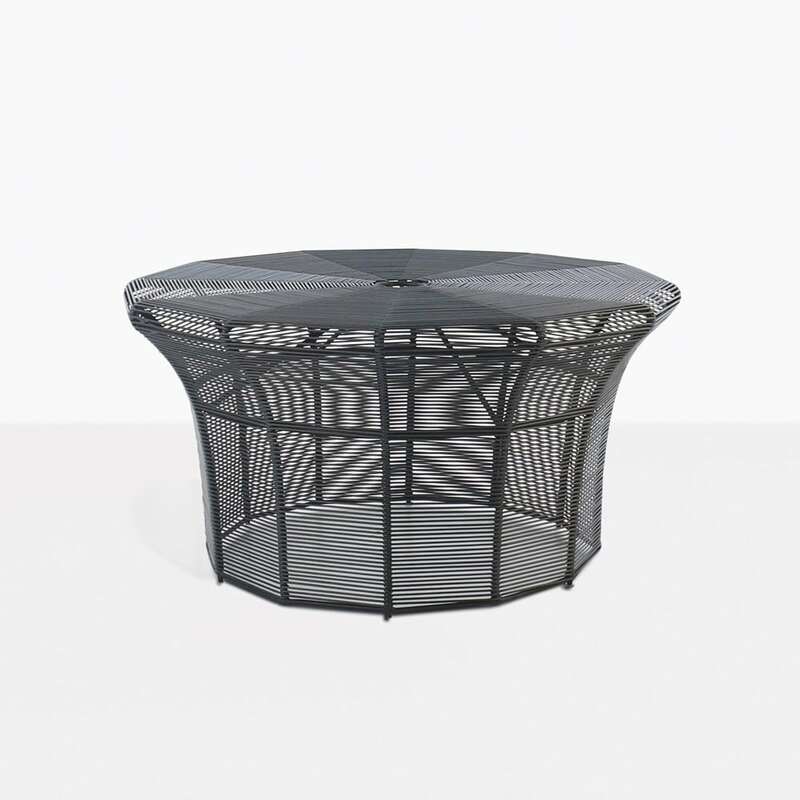 The Poppi Coffee Wicker Table can be yours today! Call us now!